Congressman Sires came to Congress in November 2006 and represents New Jersey’s 8th Congressional District. He was born in the Cuban town of Bejucal where he grew up in the waning years of pre-Communist Cuba and resided until his family fled in January 1962 with the help of relatives in America. 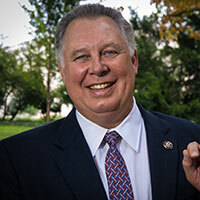 Congressman Sires became a star basketball player at Memorial High School and received a four-year basketball scholarship from St. Peter’s College. He went on to receive a Masters Degree from Middlebury College in Vermont. He was a teacher and business owner before entering public service and proudly served as Mayor of West New York, New Jersey from 1995 to 2006. During that time, the Congressman created more affordable housing units than any municipality in the State of New Jersey by fostering public-private partnerships and the use of targeted tax incentives. He also served in the New Jersey State Assembly, where he served two terms as Speaker of the Assembly. As Speaker, Congressman Sires increased funding for public education by $760 million and helped fund after-school programs to get kids off the streets and away from gangs. Today, Congressman Sires serves on two Committees: Foreign Affairs and Transportation and Infrastructure. On the Foreign Affairs Committee, Congressman Sires is the Ranking Member of the Western Hemisphere Subcommittee. He is also on the Europe and Eurasia Subcommittee. He is focused on improving human rights and freedoms across the globe and building international partnerships to improve our nation’s security. The Congressman serves on three Transportation and Infrastructure Subcommittees: the Highways and Transit Subcommittee as well as the Railroads, Pipelines, and Hazardous Materials Subcommittee, and the Subcommittee on Economic Development, Public Buildings, and Emergency Management.